2002.......Barra. Possibly one of the most eventful ferry crossings we've had with M.V.Lord of the Isles pitching about all over the place and MrEH not enjoying himself much at all. Me? I fell asleep. We walked around the Island, to the amusement of the locals. On boarding M.V.Clansman on the return trip wondered why the Ensign was at half-mast....sadly HRH Queen Elizabeth the Queen Mother had died while we were there. Also Mull.....Notable for possibly the most freaky B&B we've ever stayed in...! 2004........Harris . No dogs this time thankfully, but no chocolate cake either as we stayed at a different B&B. Lewis Taking care to ensure we weren't there on a Sunday, as recommended by our guide book. First sight of the stones at Calanais.... Crossed back to Ullapool without knowing we were meant to book for the bus onwards to Inverness, thankfully we JUST got on! 2006.......North Uist (Not a word - alright?!) Our first fortnight trip...first a week staying at Sollas with MrEH's Mum & Dad too. Then up to Lewis and a week in the gorgeously cute Bayview Cottage at Holm. Back to Calanais again, and a spooky experience with MrEH's camera. 2007.......North Uist (hush, now!) and Lewis again. Another fortnight self-catering. Plus a day trip to Barra where half the island was very misty indeed. (And the other half wasn't). Finally saw the Broch at Carloway. I had much fun playing with my 12-24mm lens. I even took SOME shots without my feet appearing! 2008.......North Uist (YES! ALRIGHT!! WE LIKE IT AFTER ALL!) 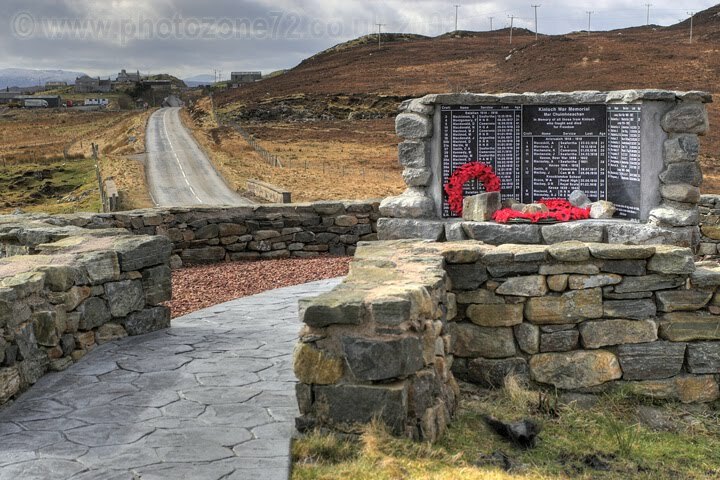 Plus a day trip to Lewis. This was the year that we decided we'd done enough full weeks on Lewis/Harris. We saw Otters playing in Loch A Ghoil on our first afternoon (MrEH "Now remember - those things in the Loch, that look like Otters, are just rocks, alright?!" Me (pointing) "Well that one's not - it's sitting up eating a fish!") and then saw the most incredible sunset that evening (My twitter profile picture was taken then.) Loch Skipport pier still standing....just. 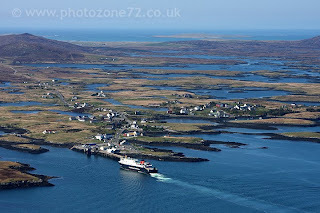 2009.......North Uist The RET Pilot scheme started on the ferries, halving the cost of our tickets. We discovered the Westford Inn, and met two lovely people who have gone on to become good friends. We made the long walk across the sands at Low Tide to visit Vallay, and then on a day trip up to Lewis found a Tesco with signage in Gaelic! Another hill....Blaisheval this time. 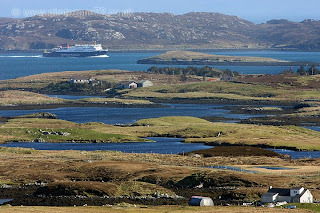 Watched M.V Hebrides arrive from the top! 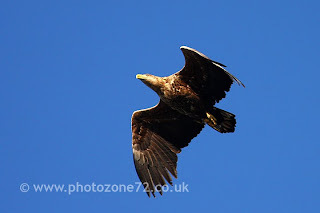 2010.......North Uist Plus Day Trips to Barra & Lewis/Harris Lots of birds, including THAT close encounter with a juvenile White Tailed Sea Eagle. Enjoyed bird-spotting from the Sound of Harris ferry so much we went back the next day and did it again. Some foraging...and some walking. Me landing up to my knees in an unexpected hole full of peaty water and MrEH managing not to laugh. Our first experience of a wind-induced power cut And the Loch Skipport pier is STILL standing! 2011.....North Uist And, as last year, day trips to Barra & Lewis/Harris We finally saw the pub sign at the Westford in-situ (it gets taken down through the winter as it wouldn't stand the weather) and stunning it looked too! We looked for Corncrakes, but only heard them, but we did see the Snowy Owl! Finally climbed what MrEH considers to be a "Proper Hill" (North Lee) and the views from the top were incredible! And yes, Loch Skipport pier.....Still there! 2012.....North Uist....Plus a day trip to Barra & Vatersay, and a two-day trip to Harris & Lewis, First experience camping in the Hebrides! Finally saw a Corncrake - woo! And first Dolphins too. Sunny EVERY SINGLE DAY - and warm enough to wear sandals and paddle for several days too. Three hills - Rueval, Ben Langass & Burrival (finally) and LOTS of beaches! 2013...North Uist...Plus a 2 day trip to Harris & Lewis. Weather a bit mixed but second week in particular was superb. More camping - first night on North Uist and back to the campsite on Lewis again! No Snowy Owl this year but a couple of glimpses of Corncrakes, and a displaying Ruff at Balranald was quite memorable on the bird front! otters at Lochmaddy too - and finally, one seen on Stuart's otter walk! 2014...North Uist. For the first year we stayed over on the West coast which made a lot of sense as we spend a lot of time over there. Being within walking distance of a fabulous beach was fantastic. We did our first wildlife-watching boat trip from Grimsay and got amazing views of a White Tailed Eagle. Corncrakes again at Balranald too. Also experienced our first winter visit with a stay on Benbecula - a complete mix of weather - everything from beautiful sunshine, to snow. 2014...A Hebridean Hogmanay! Our first winter visit - based on Benbecula this time - a new location which worked really well for the time of year. Fascinating to see the Islands looking so different, and a wide range of weather too including gales at the end of our week which nearly stopped us getting home on time! 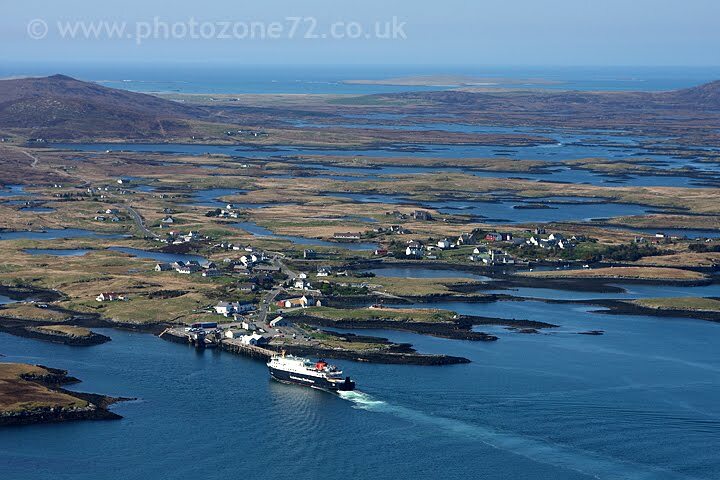 2015...North Uist...Plus day trips to the Monach Isles and Wiay. The usual mixed weather...back staying on the West Coast again and our feelings of how much we love that area are just cemented now. Our best ever views of Corncrakes - with the regular one in the garden being a real highlight! A day spent helping with a botanical survey was interesting and gave us the chance to see a new island too! 2016...North Uist. West coast again, but a different cottage. The Black Billed Cuckoo brought twitchers from all over the UK and beyond descending on our little corner of the Hebrides, quite literally as it spent a night in our garden! 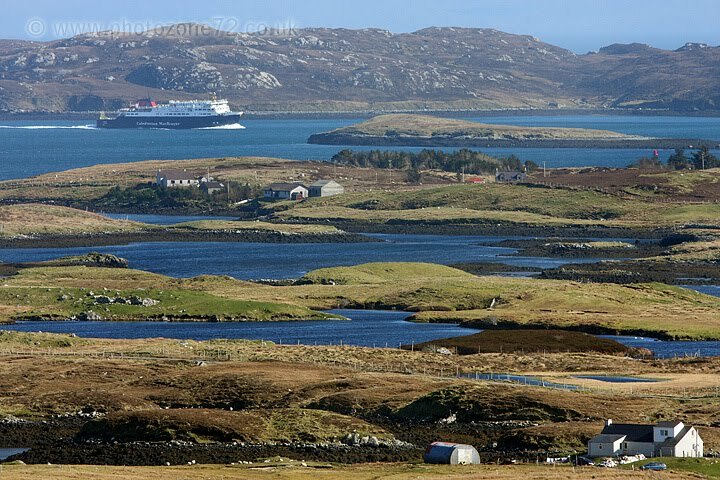 First ever significant ferry disruption on the way back also lead to our first ever overnight crossing - on M V Clansman, replacing M V Isle Of Lewis on the Barra > Oban route. 2016...Christmas on Benbecula...And this winter saw the gales attack at the start of our trip - coming incredibly close to stopping us getting there at all. Being caught in a hailstorm with 60mph winds behind it was an interesting experience, and one which we won't be keen to repeat - but a beach walk on Christmas morning has been something I've dreamed of for a very long while and it didn't disappoint! 2017...North Uist. Again staying over on the West Coast, this time in a cottage walking distance from the wonderful RSPB Reserve at Balranald. 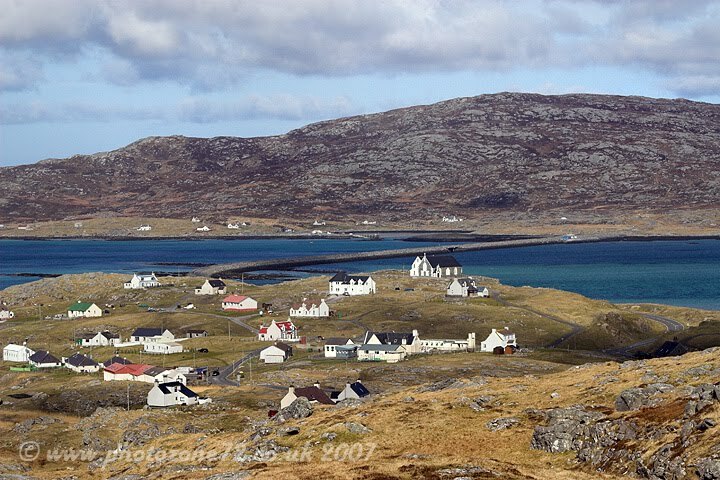 Another day trip across to Barra & Vatersay, the much reduced RET ferry fares makes this one almost a "must do" now. Made it right to the top of the Hill at South Glendale - but still have no idea of the name of it! 2017...Christmas. 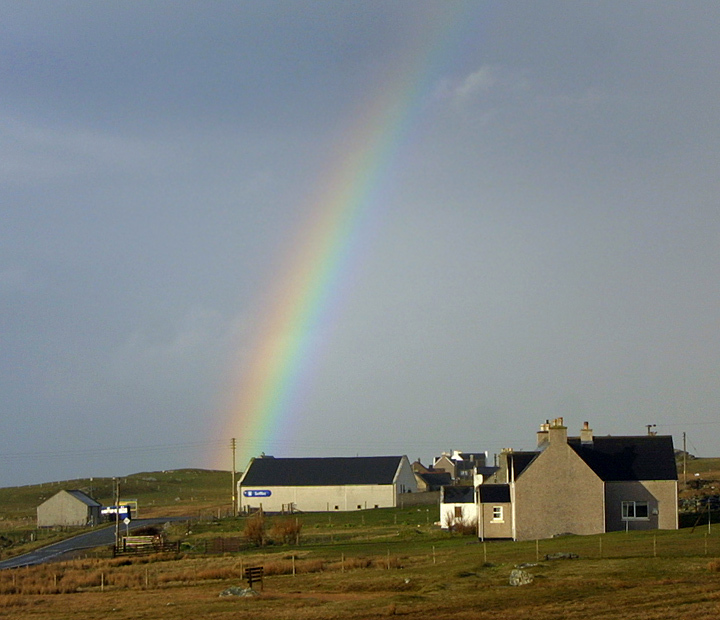 A return to Benbecula for a festive week - staying in lovely BayView Cottage on Stinky Bay this time - such a treat to have the shore right outside the door, and Culla Bay just a short walk away in the other direction too. My first taste of running in the Hebrides - one which I will be keen to repeat. Pleased to see the Common Crane which had spent several months on Berneray, along with a Snow Goose that was another nice "first" for us on the bird front. And FINALLY walked almost the whole length of the Locheport road - and got some lovely views of otters!